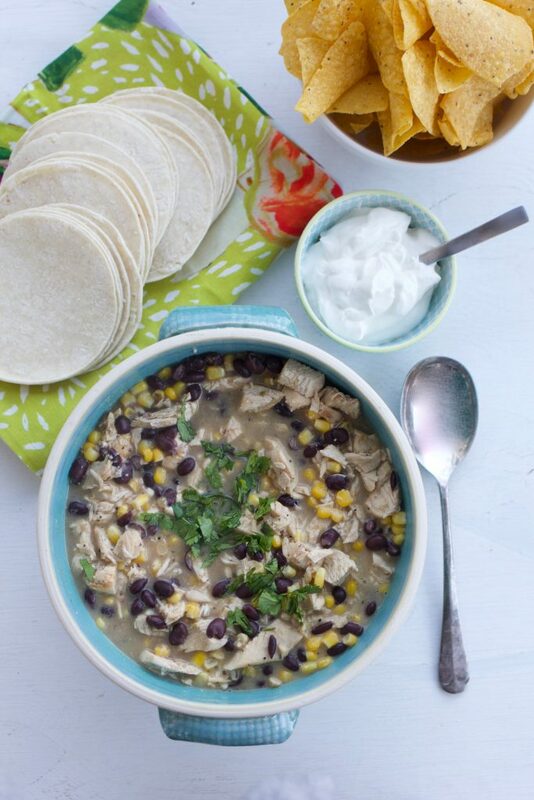 If the Instant Pot isn’t already your new best friend, it will be after you try this recipe for Instant Pot Salsa Chicken! Here’s why: It’s quick. It’s easy. And EVERYONE in the family is going to love it! 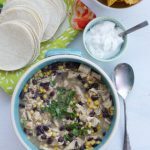 This recipe for Instant Pot Salsa Chicken was developed after my slow cookers were relegated to the back of our storage closet. 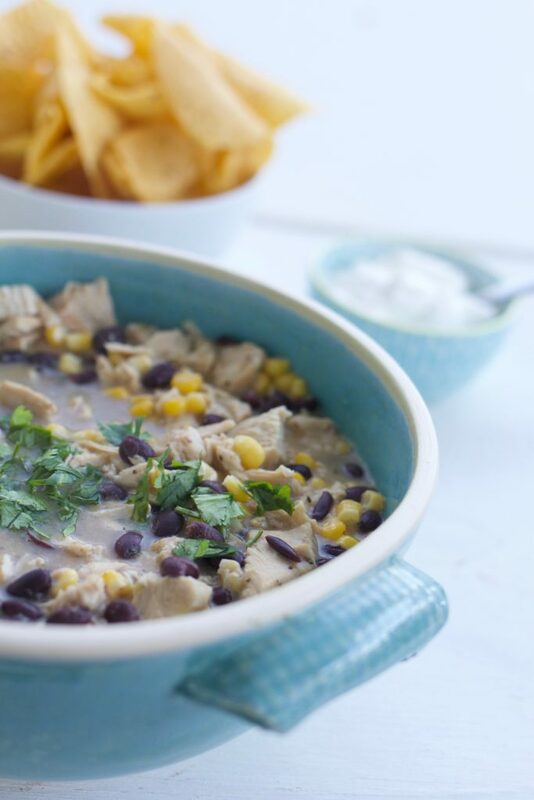 One of our family favorite recipes is Southwest Slow Cooker Chicken. I love this meal because it feeds a crowd and everyone loves it! 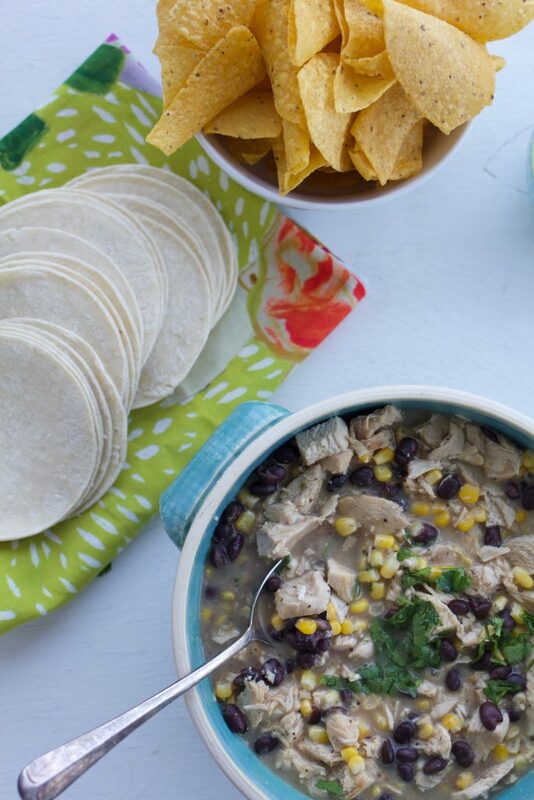 Instant Pot Salsa Chicken is basically the same recipe, without the cream cheese. I you prefer cream cheese, just throw a block in after the chicken has been cooked and shredded. I used to use the slow cooker once a week, especially in the winter months, but the Instant Pot has changed the way I cook. Using the Instant Pot has made life so much easier, no planning in the morning so food cooks all day, I can decide what we are eating at 5, throw it all in the pot and dinner is ready by 6. Meals that used to take hours in the slow cooker are ready in an hour in the Instant Pot. This meal is perfect for so many situations! Weeknight quick and easy meals, large gatherings where you’re trying to please the likes of toddlers up to grandparents. Instant Pot Salsa Chicken can easily be doubled in the Instant Pot. If you just need chicken filling for quesadillas or an enchilada, cook the chicken with the salsa, shred and you’re ready to go! I’ve pre-cooked chicken for many recipes using the Instant Pot. I shred or chop the meat and then stored in quart ziplock bags and freeze until ready to use. This makes dinner on busy nights so simple. There are lots of options when serving this recipe. I like to serve it with chips, salsa, fresh tortillas (grilled), grated cheese, chopped lettuce and tomato, guac, and sour cream. I set everything out buffet style and let everyone make their own plate. Kids especially seem to love this! If you’re making quick dinner, and eating in shifts, choose what’s easy and assemble al of the topping ingredients onto one sheet pan that can easily be removed from the fridge when needed. Hope you love this quick and easy dinner in the Instant Pot! 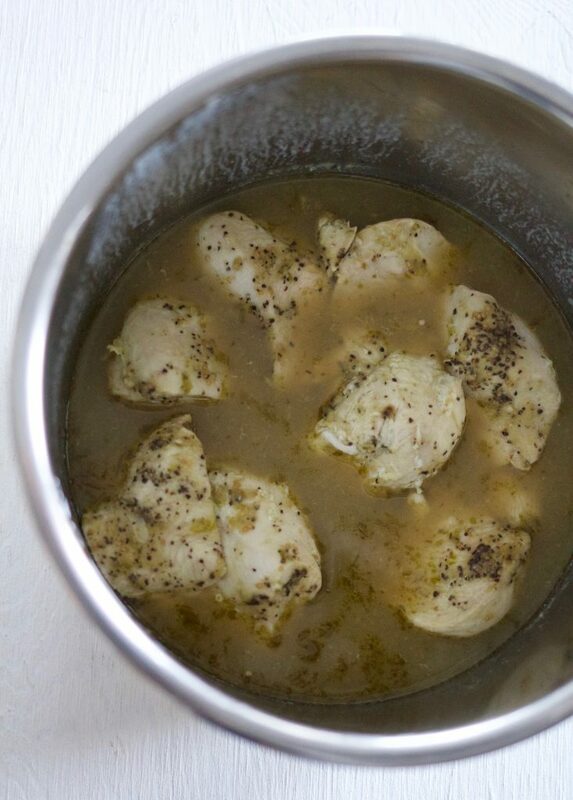 Place the chicken into the Instant Pot and season generously with salt and pepper. Pour 1 cup green salsa over the top of the chicken. Place lid on the Instant Pot, making sure the sealing ring is in place inside of the lid. Lock the lid into position and set the timer for 10 minutes on the manual setting, or 10 minutes poultry if you do not have a manual setting. If the chicken is frozen, cook for 12 minutes. When the timer goes off, let the chicken sit for 10-15 minutes and allow the pressure to natural release. After this time, turn the dial to steam release and allow the extra steam to release, or let the chicken sit in the pot for up to an hour until you are ready to finish up the dish. Remove the lid and place the chicken on a cutting board and chop. If you would like to shred the chicken, pour off the liquid and measure to 1 1/2 cups liquid, discard the rest of liquid. Place the chicken and the 1 1/2 cups liquid into the pot and turn a hand mixer on low. The chicken will shred easily. 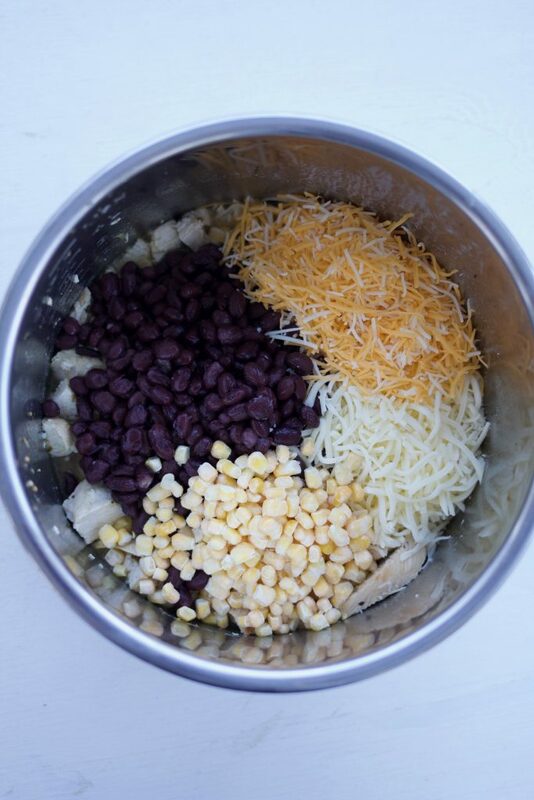 Add the frozen corn, can of black beans and grated cheese to the pot. Turn the Instant Pot to the Warm setting and secure the lid, or turn the pot on for 5 additional minutes on manual. When the timer goes off, manually release the pressure. The warm setting may be used for several hours to keep food warm. -If you would like, add 1-3-4 oz block of cream cheese to the top of the dish when the beans and corn are added and let softened while the beans, corn and cheese melt together. Hi. I have a small family and feel like this recipe will make way too much.. think it would freeze well?? Any tips on that? Or should I just half the ingredients? I’m new to the instant pot world and don’t know if halving the recipe will mess It up. Thanks for sharing! Love your stuff! We freeze our extras all the time! It works great! This is yummy!! I needed a quick meal last night and this saved the day! Thank you! Yippee! I love a delicious go-to meal when things are a bit crazy at home. I’m glad this new recipe worked for you. Great question. The traditional pressure cooker cooks over the burner on your stove and can be quite dangerous when it is cooking. You have to wait and watch, and remove it from the heat when it has cooked long enough . The Instant pot on the other hand, is plugged in and much safer. It can be set to cook for a certain amount of time, then automatically turn off and keep the food warm for hours. You can set a delay feature to start cooking at a later time. It can be used as a pressure cooker, rice cooker, yogurt maker and food warmer as well as for sautéing and browning. This is a great, versatile cooking appliance! read my post “Instant Pot, Now What?” for more information on this handy device! Loved this!! I put the shredded chicken over nachos and it was so delicious! This will definitely be a go to meal for me. Yum! That sounds fantastic. I’m glad you liked this easy IP recipe. Thank you for reading ABK! My Instant Pot has a temperature selector for pressure cooking. 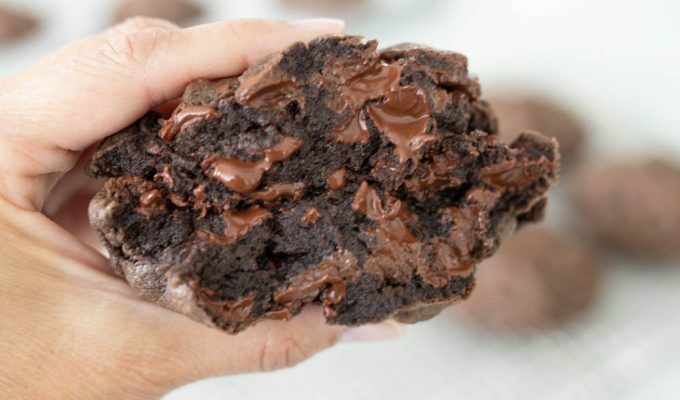 Would you select low, normal, or high for this recipe? High pressure would work well for this recipe. Let me know how this recipe works for you! Total hit! Easy, fast, and super delish. What more could you ask for? Thank you! Those are the three reasons I love this recipe too! Thank you for your feedback. I haven’t tried the recipe yet but will soon. Just wondering if I’m missing something though. Where does the liquid come from? The picture of the cooked chicken shows quite a bit of broth but I don’t see any in the recipe. The liquid comes naturally from the chicken and the salsa when cooked at a high heat and pressure. All of the liquid is trapped inside of the pot instead of evaporating while cooking! Another fabulous recipe!!!! The kids and grown-ups in our house all love this! Tonight I only had pinto beans, and it was still delicious. We have also used Pace Thick and Chunky salsa, and it has been delicious! Thank you for making family dinner more likely to happen at our house! Thanks Tiffany! I love this recipe because it has something for everyone, and just as you said it makes the kids as well as grown people happy! If you choose to chop the chicken, do you just discard all of the liquid? Is the liquid only reserved if you are shredding? Hi Lisa, if you chop the chicken, you can discard the liquid. You only need it if you choose to shred the chicken. Thanks for asking and for reading ABK!